There were the only two guys that could buy my car and pay me. Mills showed up on time to buy my car and tow it. I needed some one to buy my car fast. I called a few places to sell my damaged Toyota and the only company that promised to pay me and tow my car on the same day was Mills. They promised and followed through. I needed to sell my car for cash quickly but in a safe way. Selling an old vehicle was easy when I spoke with Mr Cappy. He was nice enough and showed me how to get the best car valuation by making sure my 2001 Lexus was running. My son got into a car accident on the highway in his '05 Toyota Camry. He managed to wreck the car, crushing the front and making it unable to be driven. We knew that it would be a lengthy and expensive process to deal our insurance adjustor, so instead we called MillsMotors. The tower came and picked up the car and paid us as agreed too. We were able to sell the car for cash! Unbelievably simple process. Wonderful and easy experience I had in dealing with Chris. MillsMotors was the first service I called to follow through and show up prepared to pay car cash. They got the car out of the yard the same day and I got paid as promised. No funny business just straight talk. The company called the very day I emailed the quote request and picked my car the very next day. They were friendly and took very good care of my request and paid me on the spot. Thank you for your great service. The towing company removed the car today. The driver called us to let us know he was coming. After a half hour, our fathers 'project' was gone and we got paid! Excellent service. Thanks a lot! I called you today and within hours my son's car car was gone and we received the payment. I would recommend MillsMotors to anyone who needs cash for car. Just a note to let you all know how completely satisfied we were with your service. You got us paid, the car towed and took care of the paperwork. We couldn't believe how quick and professional it all was. Thanks again. I spent two days trying to find an online business to buy my car for cash. It was confusing until I spoke with Jeff at Mills Motors car buyers. He made it clear that it I drove my car today to their local office that I would get paid. I drove the Toyota and got paid as promised. Thanks buddy. I was a few days into the new year and in snow storm and I wrecked my car. Totally damaged. I called around on a Saturday and the folks at Mills made me an offer and to pick up the car the same day. What can I say? I sold it without any fuss or mess and everything happened just as they said. I was able to go to out a buy a car the next week after I was able to sell the car. Living in the motor city I thought it would be easy to sell my Honda. Not really. I found MillMotors to be the buyer and at a fair price. It was gone and I was so glad that I did call them. So nice and helpful and they paid me car cash for my junk car on the spot. Thank you so much for helping me sell my car and offering this great service. I would still be lost and hopeless if it was not for the excellent help you offered. Thankfully, I no longer have to worry about filling up the gas guzzler anymore. You guys are the best! Thank you guys for buying my car for cash. I did not really understand the process and you made it easy and stress free. You guys were so professional in the way you handled the whole situation. I thought selling my car was going to be a tough process. I did not understand that you could pick up my car anywhere. Although I did end up driving up to one of your offices to deliver the car, it was a relief that your office persons were so nice. Thanks. In 1984 (the days before the internet) MillsMotors was providing a style of service that customers loved! No one in the industry had ever experienced that level of service before. Today, we are still a car and truck buying dealership and we only buy autos – cars and trucks, regardless of the condition. It has not taken long for customers to appreciate our service to really become popular! Since the advent of the Internet, the Mills Motors operations have grown quickly, and coverage has extended to every state in the U.S. In 2011, Mills Motors expanded beyond simply removing and paying for wrecked, damaged or junk cars and trucks and began to make deals to any owner looking to sell. Mills Motors has been making enhancements to its service ever since and is constantly looking for new ways to improve. Mills Motors is the car buying company started by Mr. Shaw Sr., who built it on the principal of helping USA vehicle owners to sell any automobile in the nation - damaged, wrecked,junk or simply a gently used car or truck. Previously, selling a car for money had proven to be difficult given the choices and obstacles since anyone who had tried, found themselves running around trying to complete several tasks such as: finding someone that would take the vehicle and then agree to pay what they promised. He also wanted a service where no one had to wait around to see if the tow truck would actually show. Mills Motors offers customers a quick, hassle-free and secure way to sell a vehicle online anywhere they in the USA - and at absolutely no hidden cost! Our service is completely free including the tow, and you won’t find an easier and safer way to sell your vehicle. Call us or enter your car’s details in the ‘Get A Quote’ area and we will have one of our professional buyers guide you through the process. Shortly after you accept the offer, the tower will call you to schedule a convenient time. Once they arrive, they’ll hand you your money then take the car or truck away. There are no ads to post, no haggling to do, nothing to fix and you have the peace of mind knowing that you have properly sold the vehicle to a bonded, insured and highly rated car buying and removal company. If your truck or car model year is a 2003 or newer, and you have the title, then MillsMotors has a very special offer to make! Click or call to sell any late model vehicle. Has your vehicle been totaled and declared a loss by an insurance company? Don’t worry - it has more value than you think. Give us a call to learn about your options. Pickup trucks and SUVs are always in demand. We pay money for any SUV or pick-up truck in any physical or mechanical condition in the USA. Learn more about what the value of your vehicle is. Water damage can happen following a major natural disaster. If your insurance company has declared your truck or car a total loss we can help you to recover a portion of the loss. Did you have an OHOH, SMUSH or CRUNCH!!! Physical damage does not mean your vehicle is unsellable. Find our what your wrecked car or truck is worth. Bad Transmission? Broken Engine? Bad Transaxle? Mechanical issues are another of our buying specialties. We buy all broken trucks and cars in the USA. With 350 offices, many of them make considerations for those who want to sell a junk or salvage car but have lost the title and/or registration. Our junk car removal services will make you smile. Selling a commercial truck is not easy and sometimes costly. 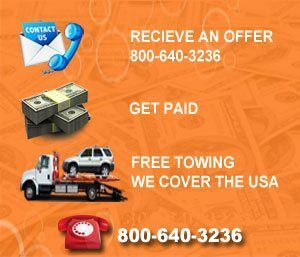 The commercial truck and heavy-towing department is available to remove it for free and provide an on the spot payment as well. Get a quote on the disposal of multiple vehicles. Best Car Cash Value for your Vehicle! We Buy any Car for Cash in any Condition! We offer service 7 days a week for collection of vehicles, try our Free Online Quote to locate an agent nearest to you. Bonded, Insured Truck and Car Buying Offices Everywhere in the USA. Buy My Car! Are you ready to sell your car today? With nationwide coverage, there is a convenient location near you, we can help any customer who calls and says, buy my car today. Smart vehicle sellers deal with bonded, registered and licensed national vehicle buyers like MillsMotors. We will tow any wrecked, damaged, used or junk car or truck for free. You can even drive it to one of our local facilities and get cash for your vehicle. Either way, we pay you the same day we receive and buy your auto. We are all professionals, and we will guide you through the process on 'how to sell my car'. Our company will make every effort to answer all your truck and car selling questions and offer you the best prices available. We are here to help you every step of the way with a simple sell your car for cash, no-hassle process. Call us today and let us buy your used, damaged, wrecked or junk car or truck. We have been helping our customers determine what their vehicle is worth, which is one of the many reasons we have been in business for so many years. Have you recently wrecked or crashed your car and worried about not being able to sell it for a decent price? Got your old car rotting away in the garage for years and want to get cash for it? Fret not; Mills Motors buys clunkers for cash. We are a major car dealership company with over 350, and growing, offices in the US and we buy your damaged cars instantly. At Mills Motors, we ensure you get the best value for your damaged car; we even offer an online quote for your convenience. Ready to salvage the wreck? Let us buy your broken car for cash! Complete the evaluation form and to learn your vehicle's value and start to sell my car for cash fast, or call today at 800-640-3236.